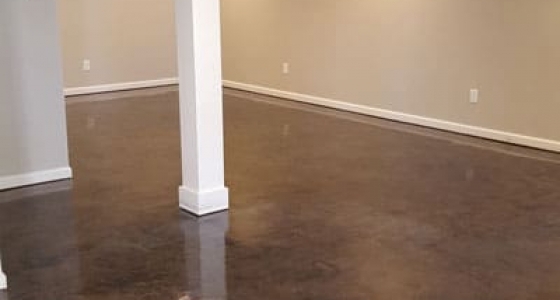 Stained concrete flooring is a great option for clients looking for a mottled or varied color combination with an organic feel of natural weathering of stone or rock. 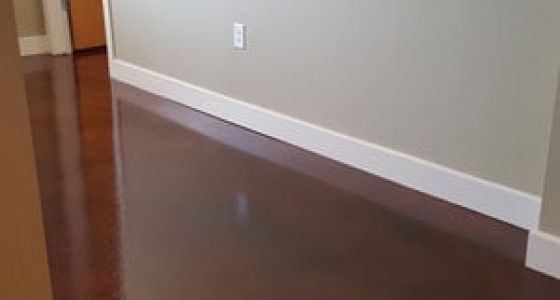 Concrete stained floors can have many different natural patterns that form during the concrete coloring accenting. 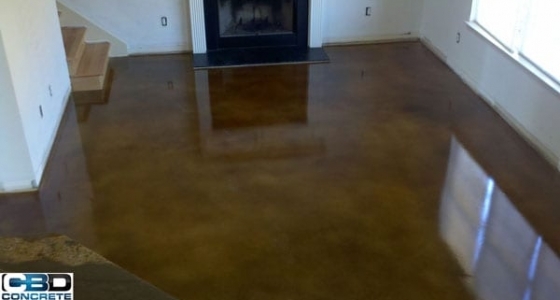 Common acid stained concrete floor problems are due to incorrect surface preparation or improper product application. Our experienced team member can provide solutions for restoring old and existing concrete surface using our concrete staining systems. 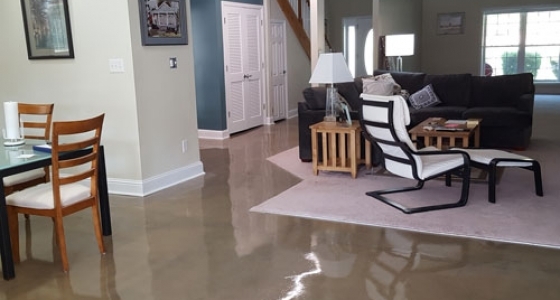 Stained concrete floor pros and cons are always compared to carpet or tile flooring, but concrete gives your creativity design, and with endless color floor staining products. Concrete stain and dye colors can range from the lightest of hues, but can also produce vibrant and bright colors to enhance the concrete. 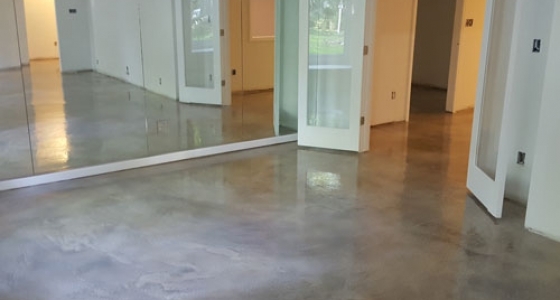 All stained concrete floors can be sealed and protected with sealers to darken and increase the durability of the decorative concrete installation. 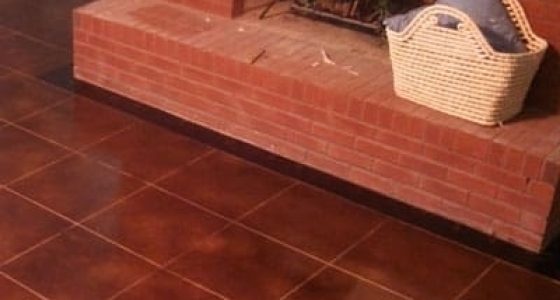 Concrete by Design offers many different staining and sealing options from a high-gloss finish to low-sheen protective coatings. 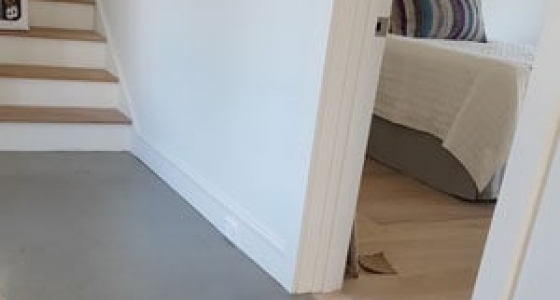 Before self-teaching how to stain concrete floors, give Concrete by Design a call; our team can determine the stained concrete floor cost for your home project. 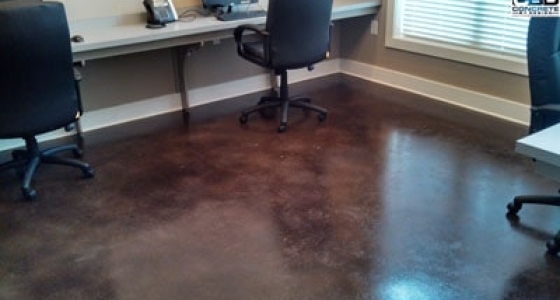 For business owners, adding concrete coloring agents and additives will completely change the look from an old an ugly concrete surface to a floor that is pleasing to the eye of your new and existing customers. 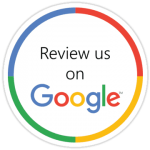 Our team is ready to handle any project from 1000 square feet to 100,000 square feet of any concrete restoration and resurfacing applications; in or around the greater Atlanta loop and surrounding areas.